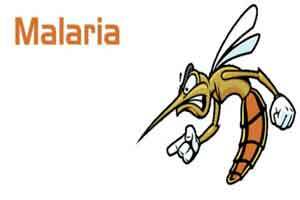 Visakhaptnam: Medical reports had confirmed that there were 15,000 Tribals suffering from malaria in the agency in the District, According to Girijana Sangham, affiliated to Adivasi Adhikar Rashtriya Manch-New Delhi. Informing this to Media, State general secretary of the sangham P. Appalanarsa said that in all about three lakh tribals were suffering from various diseases and fevers in the agency and the Government had failed to take preventive measures.”At Paderu, State Health Minister Kamineni Srinivas had said that the Andhra Pradesh Chief Minister Chandrababu Naidu had sent him to have an understanding f the medical and health situation in the agency instead of taking immediate preventive measures which is strange since tribals were dying due to diseases,” he pointed out. He said that the Sangham was conducting free medical camps in East Godavari district and Chintur for the past 15 days and would extend the camps to Visakhapatnam from July 20. In all 60 free camps would be conducted from July 20 and the Sangham would also provide free food for the patients for ten days at the primary health centers, he announced.